While the holiday season is considered to be the most wonderful time of the year, it can also be the most expensive. From Halloween costumes to Christmas gifts to New Year's parties, this time of year can cost a pretty penny. If you are looking to get through the end of the year without blowing all your savings, there are some key money-saving techniques that will protect your bank account without dampening your holiday cheer. Keep reading for 7 ways to save money this holiday season. If it’s your turn to host the office get-together or family holiday reunion, you may be expecting to spend a fortune on food and decorations. Fortunately, there are many things you can do to keep your costs down. The first area to save is on invitations. Rather than sending paper invites through the mail, send your invitations through email. This will also make it more convenient for people to RSVP so you can plan ahead and not buy too many supplies. Consider having an alcohol-free party and instead offer coffee, hot cocoa, and tea. If this isn't an option, have a BYOB bash and set up a stylish bar with glassware and drink mixers. And remember, holiday decorations don’t have to be expensive. Opt for basic Christmas holiday lights, balloons, confetti, and inexpensive ornaments. Airfare is known to skyrocket the closer it gets to the holiday season. Making your plans ahead of time will ensure that you spend the lowest amount possible. If your travel dates are flexible, consider celebrating the holiday a little early or a little late. This will help you avoid the busiest and most expensive travel days. If you plan to take a trip to see friends and family, stay someone’s guest room rather than a hotel. This will save you money and give you more time with your loved ones. Rather than flying, consider a road trip. If time allows, driving to your destination will be cheaper than flying and will allow you to skip the chaos of airports during the holiday season. Plus, cars with more cargo space allow you to bring as many bags as you want. The holiday season is the time of year to spend less money on yourself so you can shop for others. 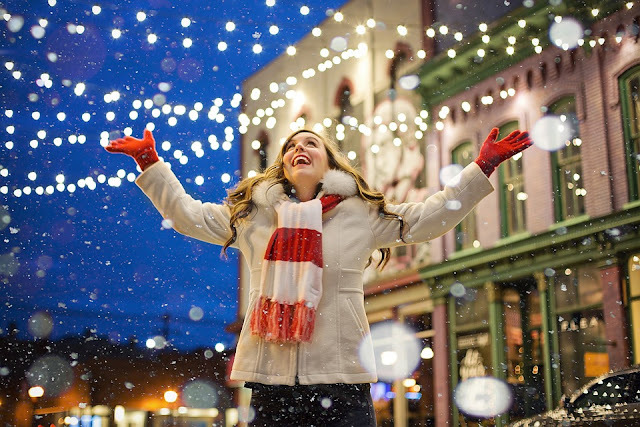 Try to cut your personal spending in half so you don’t have to stress when it comes time to go holiday shopping. When determining where you can save, evaluate your spending. Take a break from Starbucks and pack your lunch instead of eating out. Be more aware of your grocery shopping habits and use coupons whenever possible. To really track your spending, give your credit cards a rest and use cash throughout the holiday season. This will keep you accountable for how much you are spending on a day to day basis. Before you go online or step into stores for your holiday shopping, make sure you've created a concise list of who you are shopping for and what you would like to get them. This will stop you from making impulse purchases or spending more than you had expected. Not only will this save you money, it’ll also save you time. As the holiday season approaches, create a clear budget that will carry you through the new year. Include your normal expenditures such as rent, utilities, and food, and create special categories for travel, gifts, costumes, and parties. Before you spend a penny on holiday-related activities, make sure you know exactly what your budget is and do your best to stick to it. If unexpected expenses arise, try to save in other areas so you can stay on track. Gift giving can be one of the most expensive parts of the holiday season. This year, rather than giving pricey store-bought gifts, consider giving experiences instead. Buy a coupon online and take your loved ones out to dinner. Give homemade gifts such as hand-knit scarves or a large batch of Christmas cookies. Another great way to save is by giving used gifts. This doesn't necessarily mean scouring thrift stores for hours on end or giving gifts of lower quality. Online resources such as Craigslist, eBay, and the Facebook marketplace are full of great used gift options available for a fraction of the price. One of the best parts of the holiday season is all the time spent with your loved ones. Save money and create a special tradition by planning a friends and family pumpkin carving night. Gather a group of people to go sledding, build snowmen, or have a snowball fight. If you live in a warmer climate, pack your favorite holiday foods and have an outdoor picnic and bonfire. Follow these tips and your holiday bills are sure to be lower than they were last year. At the end of the holiday season, make a record of all your spending so you can accurately budget in the future. And don’t forget to get a head start for next year by buying everything on discount. The financial crunch in the contemporary era has made people to take note of their personal finance in a proper manner. People are now more concerned about the ways by which they can ensure an efficient running of their household and also ensure the aspect of saving. When you have a proper grip on your personal finance, then that ensures you are at economic stability. The stability is needed in the world of trembling finances. Also, a stable finance will help in coping up with any kind of financial crisis in a proper manner. The three main components of personal financing are the aspects of budget, spending and saving. To have a proper planning, you need to make a proper assessment of your assets. The assets should include both movable and immovable properties. Then the next step is to shed light on the aspect of income. You need to form a single source by accumulating all your income sources. The next step involves creating a list of the expenses. Make the chart by using detailed expense list. This will help you in creating a proper budget. When you lay down everything in a detailed manner, then you understand how much you are spending and what you need to save. Also, you identify those areas which are unnecessary spending. When get all the details in front you become aware of the areas that need changes. You also discover new income sources. With a little effort from your side, it can be ensured that you get the best out of the plan made for your personal finance. Also, you need to have a check at the daily expenses that you make. While making a budget plan ensure to chalk out a plan about the daily and monthly expenses. Also, include the aspects of holiday expenses and the various luxuries. The setting of goals plays a very crucial role in managing a proper finance of your household. The goals can be small term or long term. It can be about getting a new set of curtains to getting a new house. However, if you have a proper planning, then you can work in accordance with it and reach the goal in a smooth and hassle free manner. When you are setting the goals remember to label them with a certain time period. This will help you to get motivated and work towards it. Also, any unwanted intervention in your financial life will be handled by you in a better manner. When you make a plan then stick to it. Try not to deviate from your plan as that will disturb your personal finance. However, if you have any changes in any of the factors, then you need to accommodate the change. If you have enhancement in your income or decrease in it, then you need to set your goal and budget in accordance with it. The same is the case when your expense faces a sudden increase. Stocks that go out at or close to their highs for the day are great candidates to bring home and ride out for maybe a couple days. 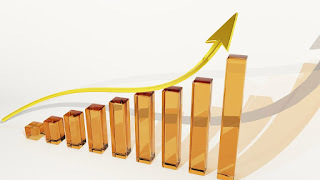 In any event, they are by and large profitable in the opening of the market the following day. The market makers are generally discovered covering their short positions in the opening fifteen to thirty minutes. What as a rule ends up happening is there is a hole up made and that pop frequently gives a decent brisk pickup. The danger in this procedure is the potential for negative news (IE: minimize, and so forth) to work the contrary impact. Obviously, this is the danger that you generally manage as a swing trader and that is one of the all the more engaging parts of day trading - no medium-term positions. All said and done, this is an awesome move. In my initial days, I did this trade a considerable amount and did. Keep in mind to online paper trade first. This has turned out to be progressively prominent. These days, there are just around at least one ETFs for each part. No, "Stock Investing For a Dummy" article would be finished without discussing ETFs. Hurray Finance gives a pleasant rundown that will reveal to you each ETF known to man. The pleasant thing about trading the ETF is that you stay away from the previously mentioned hazard that an individual stock holds. Purchasing an ETF or shorting an ETF (here you have the additional advantage of not having the uptick administer) in a hot segment gives you a pleasant hazard/remunerate proportion. Keep in mind to online paper trade first. Shorting isn't for everybody and that is most likely something worth being thankful for. I lost a major lump of cash from the get-go by making the oversight that such a large number of rehashes. I shorted stocks in a solid buyer market. This conflicts with everything that I presently remain behind. I profit since I work with the market, not against it. It is exceptionally difficult to reliably profit shorting stocks when the general trend is running the other way. For reasons unknown, traders frequently need to battle this, however, they once in a while win on a steady basis. So, you ought to be comfortable with how to short and when to do as such. All things considered, the bear market travels every which way and if you are endeavouring to long stocks in that environment you would run into similar issues those traders do that short in an up trending environment. While shorting I hope to get the energy of a probable falling stock. Stocks fall harder and quicker than they do climbing. Enormous cash can be made if you short appropriately. There is a notice that I trust you notice. Whatever you do, if you don't mind spare yourself cash and sorrow - DO NOT short a stock since "you suspect." DO NOT short a stock since "it appears as though it must go down." Have a vital reason moved down with great research before considering shorting? Except if you wind up in a clearly bearish market I would not by any means get associated with shorting until the point that you have a couple of long periods of trading experience. Keep in mind to online paper trade first. About the writer: Author of this article is Jason Leon, famous researcher of the machine learning to predict stock prices and active trading enthusiast. Jason lives in New York with his family. In his spare time, Jason likes to travel around the world, to visit different trading conferences and to meet new people. Economic instability on global level is really alarming. It is affecting almost all countries and they are feeling pressure to cope with the always changing situation. In these circumstances, investment on financial education on individual and national level is extremely important. Every person knows the importance of financial education for better living conditions and for understanding difficult financial terms. But many argue that there is lot of information available for financial matters on internet and other means of latest technology. This is enough for entrepreneurs and common people to get their required information. Therefore, it is unnecessary to waste money on financial education. But this is completely unreal and potentially dangerous argument. In fact, proper financial education provides such advantages to a person that are not available either with insufficient information gained through internet or via advice from other experienced persons. Investment on financial education, on both individual and national level, pays off well. It helps persons better understand the causes of their related financial issues. Through better understanding, they can make right decisions about spending their money and gain profit. In the absence of such education, they can easily fall a prey to investing on things not suitable for them. Financial education provides better understanding for matters related to money and business that are otherwise can’t be grasped even if experts are contacted. One can better understand the difference between asset and a liability. Detailed financial education describes how one can use (good) debt and taxes to attain financial success. After attaining such useful information and knowledge in detail, it will become easier for you to take your own financial decisions. This type of education provides tools to better determine about the chances of progress of any specific type of business activity. One can also predict about the sector that will face problems amid recent financial situation. It will assist the entrepreneur to prepare themselves in case of any type of financial crisis as we have seen in recent past (especially financial crisis of 2008). 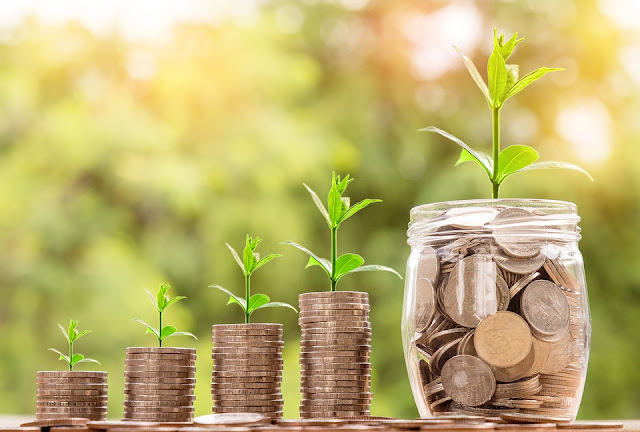 Having complete and comprehensive monetary knowledge through financial literacy will allow individuals and society to handle any financial crisis successfully. Not only that financial education provides certain advantages, but it also saves from negative impacts that are result of avoiding proper financial literacy and reliance on shortcuts. 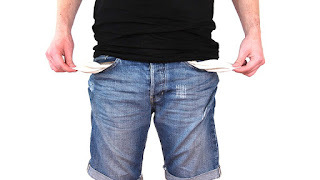 It has been proved through various studies that people with insufficient financial literacy tend to borrow more, pay more fees for financial products and services and have less wealth as compared to those having proper monetary education. If you are deficient in monetary education, then you try to compensate this by taking advice and guidance from experts. But this advice can’t provide complete understanding of all financial matters. Different experts have their own understanding of difficult financial terms and situations and they interpret this according to their personal understanding. It is especially evident for complex terms. These monetary advices also have conflict of interest and only your own knowledge will be free from such favoritism. Apart from that, there are different requirement for different types of investors and entrepreneurs. Same treatment to all these individuals doesn’t provide better solution to them. A pro service company in Dubai has different requirements as compared to real estate company in Arizona. In this scenario, only complete knowledge about monetary matters through financial education provides complete solution to monetary problems. This type of education is not only important for individuals but also necessary for nations by assisting them to get rid of financial crisis. About the writer: Mona has 6 years of experience in the field on content writing. Currently, she is working with Dubai-based business consultancy firm Riz& Mona Consultancy. Her fields of specialty include investment, offshore business, trade, small business and others. Personal Finance is a term which describes the way the future of an individual is managed, in terms of money. You may be able to find several financial planners in the market who work for people and businesses in order to solve all problems and issues relating to finances. Now days with the advancement of technology, many software programs are available on the Internet that can be used not only for managing current money but also for saving money for future. In today’s world there are several reasons why a person feels squeezed, some of the leading issues behind these are problems of unemployment, claims over mortgages, rising fees of college tuition and many more. Thus through proper planning an individual can solve all such problems and save money for his/her use in the future. A question which is found worrying people is that how much money does a person needs to save in order to give up his/her job? No one has time to think about his/her retirement because every one of us is busy in our day to day lives. However, we should all start thinking about retirement and set goals in order to plan for the later stages of life. Thus it’s a good idea to start thinking about retirement from now onwards and start crunching the numbers to check how close we are to meeting the requirements to retire with money. 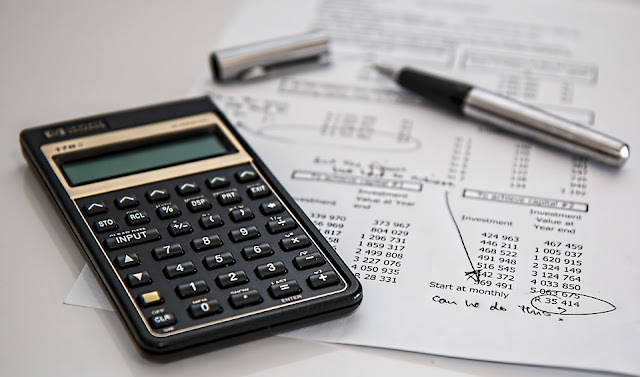 Budgeting, saving and planning are the key aspects that are involved in personal financing. Thus it’s vital to know how to effectively handle the key aspects of personal finance so that one can gain benefits from them. On choosing the ideal financial plan you will be able to identify all key investment options that will be profitable. This all will help you to decide when and where you should be investing your money. Apart from all the aspects of Personal Financing, budgeting stands to be the most important. 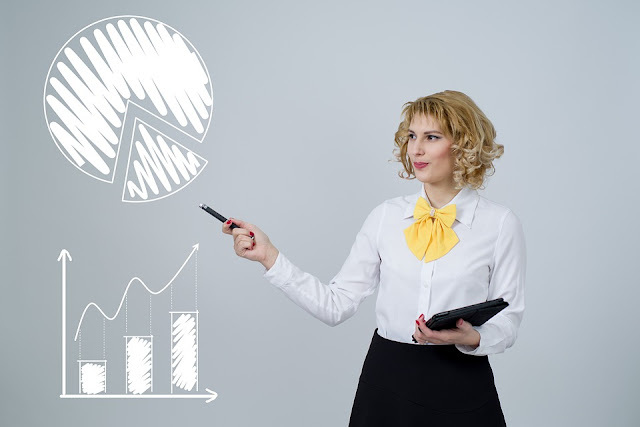 You might be wondering how budgeting can be the deciding factor for managing finance. With the help of a proper budget one can easily evaluate his/her financial condition on how much to save and how much to spend on investments. Divorces are mostly linked up with money problems. The reason behind this that whenever you’re in debt you feel stressed. This can sometimes cause problems which can be quite severe. Therefore personal financing can help you in saving a relationship and living a life without severe stress due to finances. A much better future can be planned with the help of controlled finances. Money can be saved for your future life with the help of proper personal finance methods. If your planning is effective, you will be able to save money from your income every month and thus saving something to enjoy for your retirement life. With the help of managing finances even in case of emergencies one can take care of the family without asking for money from any one. Remember once you borrow you will always be under financial stress. Such financial crises in some cases can even result in illness. Getting rid of credit card debt isn't really an easy task to accomplish, especially if you have a tremendous amount of credit card debt. Rest assured that you can pay off all your dreaded debt, even if it takes a bit of time. Your first line of defense in tackling credit card debt should be the art of conversation. You need to telephone each credit card company that you have a debt with in order to inquire about the possibility of getting a lower interest rate on your debt. Not all credit card companies that you speak with will be willing to cut the interest rate on your debt, but nonetheless, it seems like there are always some companies who will cut interest rates for their consumers. It may also be a good idea to send letters to the credit card companies that you have balances with in order to request substantially lower interest rates. The next thing you should do if you want to put your credit card debt behind you is save up some money to demolish your debt. You should definitely be paying a lot more than the minimum payment due on each credit card each month if you wish to get rid of your debt. Interest accumulates quite rapidly on any credit card balances that you may have, so be sure to throw quite a bit of extra money at your credit card debt whenever possible. Making double, triple or even quadruple payments towards credit card balances each month is an excellent idea. If you can’t afford to make at least double payments towards your credit card bills every month, consider finding an additional job so that you can earn more cash to pay down your debts. Even having an additional part-time job will help you in your quest to get rid of credit card debt forever. 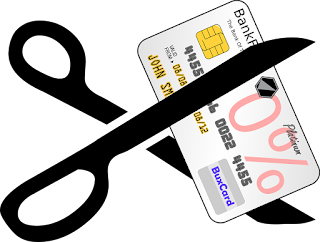 If you have a particular credit card that seems to have a very high interest rate term, you will want to try to pay off any balance that you have on that card as soon as you possibly can. Since interest accumulates on credit card balances each and every month, you need to get rid of the card balances with the highest interest rate terms first, especially if you want to pay off your debt quickly. Review all the recent credit card balance statements that you have in order to find out which card companies charge the highest interest rates on your balances. Do you have debt? Just about everyone does, but the only difference is that some people have just a little and others have created so much debt for themselves, they can feel like they have the weight of the world on their shoulders. This person won’t miss a day of work in fear of having a smaller paycheck and they won’t go on vacation because they could not possible afford such trip. Debt is not a bad thing unless you have accumulated so much it then controls your life. Getting out of debt is certainly possible and you begin by not using your credit cards any longer. When you must make purchases with only cash, you will right away notice how often you were pulling out that little plastic card to pay for things. Your next step is to find ways to cut out things in your life that you really can live without. That designer coffee on your way to work everyday can add up to a lot more than the cost of making it yourself at home. How about all those meals out? When you replace half of those restaurant meals with home cooked meals, you will be surprised how much money you then have to pay toward your debt. It took some time to grow your debt and it will take time to pay it down but with your goal set and some effort to stay on track, little by little your balances will shrink. It is very possible to find yourself broke as you use only cash and this is when you can rely on a payday loan to help you out. This small loan will fill that empty place in you wallet so you can cover costs before that next payday comes around. When you have your finances under control, life will feel a lot lighter and you might even want to go all the way and live debt free. It’s your life, it’s your debt and the choice is yours. If the days before your pay arrives are a constant source of agony for you then you are probably used to writing your shopping lists carefully and avoiding doing anything which costs money. Making a small amount of money stretch out over a week or more is an art form and you have possibly found a way to do it which suits you. However, wouldn't it be better to use cash advances now and then to be able to buy everything you need or want? If you don’t think so then here are some decisions to be made in tough financial times. The disadvantages to not buying toilet paper are fairly clear and going into them in great detail isn't really necessary I don’t think. However, if your wages haven’t arrived and cash is in extremely short supply will you walk past this aisle and simply hope for the best until you get paid? Saving up your toilet visits for when you are at work could be a solution, although you could find that your boss notices a drop in your productivity due to this. It is a little easier to scrimp on our food but the results can still be quite unpleasant. 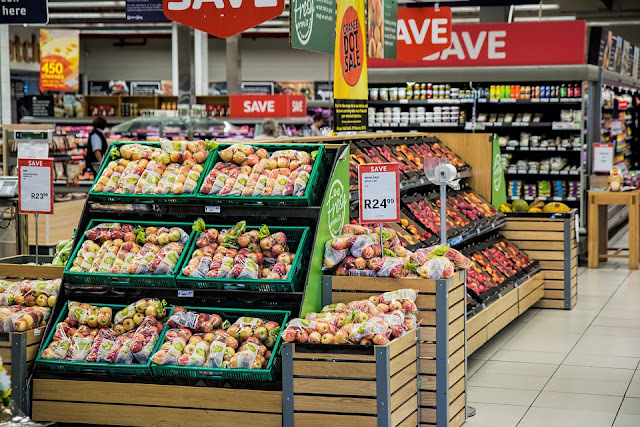 If you end up looking for food which is about to go out of date then you might find a bargain but you also run the risk of letting it pass the date without noticing. Another possible idea is to buy the cheapest things in the supermarket and then try to fabricate a meal out of them. This sometimes works out well but at other times you could find yourself staring at a cupboard containing nothing more than salt, pasta and some form of unidentified tinned meat come meal time. It is a lot healthier and far more interesting to look into cash advances and buy something which you really want. Besides you then may need the toilet paper too if all does not go well. A few years ago I worked in an office which was about an hour’s walk from my house. In the weeks in which my funds were embarrassingly low I had to walk the whole way there and back because I couldn't afford the bus fare. This was fine some days but when it was raining or really cold I would be in a bad mood all day because of this. I tried getting on and paying a kid’s fare a couple of times but I think my suit and moustache kind of gave the game away. Of course, when it came to winter time I always ended up with a horrible cold from having to spend so much time out in the elements. This wasn't helped by the lovely people who would drive close to the kerb in their cars in order to deliberately splash me with water from the puddles. Because of this I often arrived at work looking like a creature which just crawled from a swamp and feeling like a fool. Still, it made it easier to phone in sick. Why is it that birthday bashes and other exciting sounding events always happen so close to pay day? I have lost count of the number of times I have had to make up excuses because I simply can’t afford to go out in the days running up to pay day. In the days before Internet cash advances there was no real alternative to staying in and watching repeats of The Bill again but these days it is possible to borrow some money and go out and enjoy yourself. The most frustrating aspect of work nights out I don’t go to is that they always sound like they were the best hours which the people who went have spent in their whole lives. They will spend weeks sitting sifting through wacky photos and telling hilarious tales about how Joe ate 5 kebabs on the way home or how Christine danced like John Travolta all night long. Yet the nights out I go out are always really tame affairs which involve relatively few kebabs and virtually no Saturday Night Fever at all. It seems as though it pays to be able to choose which events to go to rather than simply miss the ones you can’t afford. Before you approach anyone in the counter, try to ask those sales people first to see if there is a way for you to avoid paying that item on full amount. This is when you should practice your negotiating skills. Be friendly enough to ask for a lower price or be flexible enough to opt for some other similar items that are being sold at a lower price. There are plenty of brand new items in consignment stores that are being sold at a fairly low price compared to those items that you see inside boutiques and other exclusive stores. If you are planning to buy any piece of furniture or designer clothes, check out those consignment stores first before visiting any other stores. You may think that what you save from using your coupons is a very small amount but once you add these savings say, for a month you will realize that you have already saved a lot. Try looking for some manufacturer’s coupons on the internet and visit websites such as Coupon Cadet or Coupons.com. These sites offer special promos and coupons to their subscribers. You can even take advantage of their incentives that are usually offered once you sign up for their mailing list. You may say, “What? My age? !” Yes, you can certainly use your age to your advantage. This is so true especially if you are a senior. Try asking for a discount and be ready to show them your valid ID. Most stores offer hefty discounts to senior citizens. If you are still a student, you may also ask the store manager if they offer special discounted prices to their customers who are still students. As mentioned earlier, be flexible enough when it comes to considering some other options even if this would mean that you have to buy an item with a generic brand. If the expensive brands are way beyond what your budget dictates, be willing to just settle for a generic brand. The truth is that there are also generic brands that could almost equal the durability and quality of expensive-branded items. In today’s world, we all understand the importance of money. Without money, it is quite difficult to manage a good lifestyle. 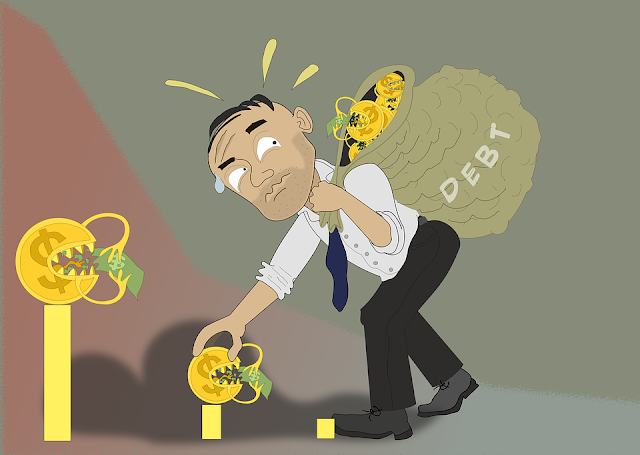 Moreover, after the economic crisis, most of us are facing debt problems due to loss of job or reduction in salary. In such a situation, making money online and improving personal finance has become quite important. 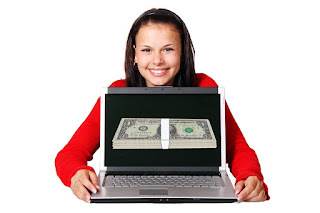 There are various ways in which you can make money online. This will be a sort of part time job for you and you won’t have to invest much of your time in it. It does not take much to write. You can write for various websites and you will be paid a good amount for that. You will have to deliver a set number of articles every week or month. You should have the talent to write on various topics including finance, travel and living, medical field, fashion, etc. Once you have gained a foothold in this market, you can even bargain for payments. There are various occasions to celebrate. You can design cards for every occasion and sell them online. However, in order to do so, you need to have the knowledge of the designing softwares. You can sign a deal with someone who has a good client base for selling cards and earn a handsome amount. You can even start a blog of your own. Starting a blog can be fun and free of cost. In your blog, you can opt for Google AdSense which will help you earn money. This will help you feature advertisements on your blog. When someone clicks on them, you will be able to earn money. Make your blog interesting by writing on various interesting topics. If you love taking photos, then it can help you earn money. You can upload your photos to various photography websites and get them sold. You don’t have to be a professional photographer in order to sell photos. Sometimes, these photos are sold off at a handsome amount. If you have the knowledge of website designing, then you can design websites for various clients. This can help you earn quite a good amount sitting at home. However, you should have the full knowledge about the subject and keep yourself updated regarding various new web designing softwares. One of the most popular ways to make money online is to sell off products on behalf of others. You can get yourself affiliated with Amazon or Ebay for this. If someone buys a products that you have been pitching for, you will be able to get a cut! Commissions may be as high as 25% of the product value! Now that you have known some of the best ways to make money online, you will be able to earn more and improve your personal finance. Do you have the opportunity to retire without the burden of high interest debt? If answered yes, you’ll be considered as one of the fortunate and lucky retirees. According to the AARP, most of the baby boomers have arrived at this age without concentrating on their savings. In the manner the recession wiped off the retirement savings, this is historically being deemed to be the worst time to retire. 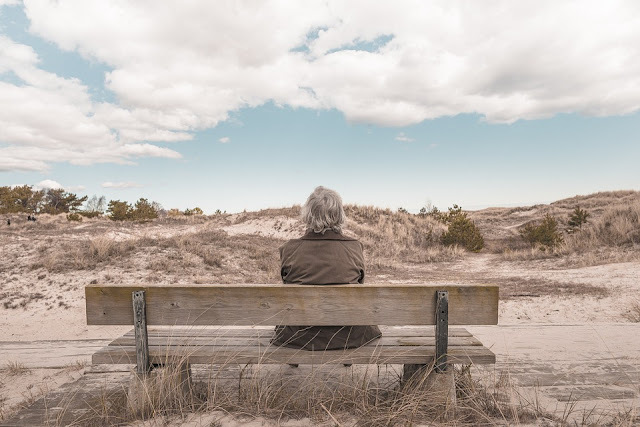 Over the last few years, most of the individuals who were born during the baby boomer period saw their finances decline and many of them are expectantly confronting a huge amount of debt on their multiple credit cards. While there are various options for the seniors, they should be watchful before choosing one so that they don’t die with huge amounts of debt. Here are some options that may work for them. As the seniors live on a fixed income level, it is necessary that you save money while consolidating your debts too. Every penny that you own is extremely valuable for you and therefore consolidating your debts through a non-profit debt consolidation makes more sense than getting it done through the for-profit counterparts. As the non-profit firms are financed by the local business organizations and the credit unions, the fees that they charge is much lesser than the for profit companies. You can get the help of a professional debt consultant who will help you negotiate the interest rate and the monthly payments. You can simply repay the debt in small and affordable payments and become debt free within a specific period of time. Being a senior, you’re blessed with the opportunity of taking out a reverse mortgage loan. This is somewhat similar to taking out a home equity loan but there are striking differences too. You can take out a reverse mortgage loan of the amount that you've accumulated as equity in your home but the difference is that you don’t have to repay the loan amount until you die, sell off the home or stop staying in your house. However, before you look at this option for seeking debt relief, you should ensure that your debt amount is pretty high so as to tap the equity in your house. If you can manage repaying in some other way, you may keep your equity intact for some other use. You must have saved enough money in your 401(k) account so that you can borrow money during times of need. Since you have accumulated huge amount of debt on your credit cards, it is most obvious that you should borrow money from the 401(k) as withdrawing money after you retire will not make you subject to undue taxes. Therefore, you can easily withdraw money and use it for repaying your credit card debts. Therefore, when you’re on the other side of 60 and you've racked up huge amounts on your credit cards, ensure following the steps mentioned above. Professional debt relief should be avoided when it comes to getting out of debt. Are you shopping around for affordable auto insurance? There are a few questions which you should ask to your insurance agent to have a clear view regarding the terms and conditions on your policy. Here are 4 questions which you should ask to your insurance agent before buying an auto insurance policy. Question 1: What discounts can you qualify for? Answer 1: While getting auto insurance quotes from an insurance agent to buy a suitable policy, you should at first enquire what discounts you qualify for. This will help you reduce the cost of your policy. Most of the companies offer discounts such as, safe driver discount, good student discount, etc. which you may be eligible for. Question 2: What does your auto insurance policy cover? Answer 2: It is quite important to enquire the type and amount of coverage offered by the insurer. You should clearly understand this before buying a policy. It is advisable to not rely on verbal talk; always go through the terms and conditions carefully and check policy exclusions so that you’re well aware of the policy you've chosen. 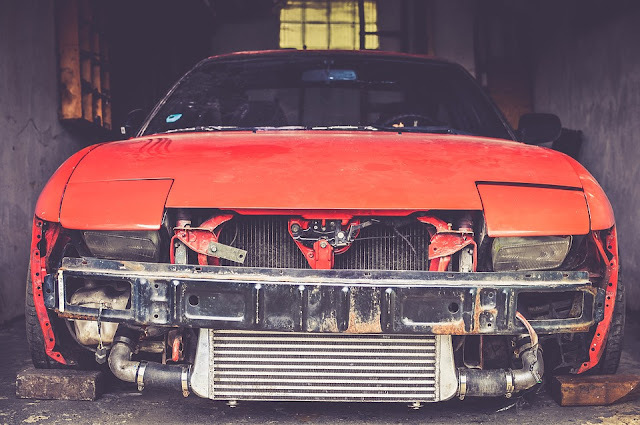 Question 3: If you require new parts for your vehicle, will your insurer cover them? Answer 3: You should enquire this when getting auto insurance quotes. There are some insurance companies which guarantee to cover OEM (Original Equipment Manufacturer) parts while others pay only for after market parts. The latter are comparatively cheaper than the parts made by your original manufacturer. Question 4: What will happen if you cancel your policy? Answer 4: While getting auto insurance quotes, check out the consequences you’d have to face if you need to cancel you policy. It may happen that you’re getting a better insurance policy from a different insurer and you need to cancel your existing policy. The insurance companies have different rules regarding how the unpaid premium will be refunded to you if you cancel your policy. Some of the insurance companies charge a cancellation fee while some other companies use ‘short rate’ method to calculate how much amount will be refunded to you. You must know the insurers can charge this fee even if you cancel the policy the day you buy it. Apart from above, you should also enquire about multiple policy discounts while getting auto insurance quotes. This is because often insurance companies offer discounts when you buy your home insurance, auto insurance, life insurance, etc. from a single company. So, if a company is offering multi policy discounts, then you can purchase all your insurance policies from it so as to reduce the premium cost of your policies significantly. However, before doing so, check the financial strength rating of the company to make sure that you’ll be compensated when you have to make a claim.